To change the perception that it is a slow and moribund department, Home Affairs is evolving with the times to be able execute on its mandate. This was the word from department minister Malusi Gigaba, who said the department is reimagining Home Affairs as a modern, digital, secure custodian of national identity. 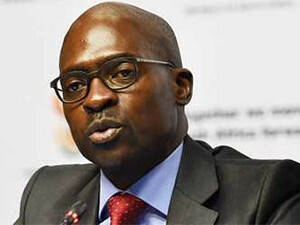 Delivering his budget speech last week, Gigaba told Parliament in order to roll-out modern and secure systems, his department will require an increase to its budget by the end of the year. "A modern, secure Home Affairs will require a larger budget, and by the end of this year, we will present a business case to Cabinet for approval," he said. In February, finance minister Pravin Gordhan increased the DHA's budget from last year's R6.4 billion to R7.4 billion. Although the Department of Home Affairs (DHA) minister did reveal how much the department would require, he noted: "In this difficult economic climate, departments must demonstrate their value proposition and the savings they can realise." Gigaba added: "A modern, secure Home Affairs will enable government and business to deliver services better, cheaper and faster, and drastically reduce fraud." Gigaba told Parliament the DHA is working tirelessly to conceive of a different package of services for the future, so when the children born this year turn 16 years old, they will have no reason to even visit a Home Affairs office to apply for their first ID card. The DHA has identified other initiatives that will take place this year as part of modernisation efforts, which will include spending R10 million to digitise six million paper-based birth records. To improve efficiency and turnaround times, these records will be made electronically accessible at a click of a button, said Gigaba. The department will also automate birth, marriage and death processes, like it has done with the smart ID cards and passports; work with the State Information Technology Agency (SITA) and other service providers to improve system uptime; as well as explore options to refresh or upgrade its mobile units to serve remote communities, explained the minister. According to Gigaba, live capture offices have increased from 140 to 178, and all of them now accept payment by cash, credit and debit cards. The department has also begun its online smart identification documents (IDs) and passports application process, with the roll-out of its eHomeAffairs portal in partnership with the banking sector. Gigaba told Parliament the response from South Africans with regard to the online application system for smart IDs and passports has been positive, with more than 8 000 citizens having used the department's online portal. Earlier this month, the DHA finally went live with its much anticipated eHomeAffairs portal. Plans to roll-out an online application system began last year, as part of the department's strategy to move services from paper to digital and eliminate lengthy queues at its offices. For a seamless application process, the department partnered with Absa, Nedbank, Standard Bank and First National Bank to allow citizens to apply and pay for their smart IDs or passports online and collect their documents at the banks. The DHA's service is available to citizens between the ages of 30 and 35 years old, and currently operational at 11 bank branches in Gauteng and one in the Western Cape. According to the department, it will look to roll-out smart ID and passport online application services to other parts of the country over the duration of the year. In 2013, the DHA started the process of replacing more than 30 million green bar-coded IDs with smart ID cards that have better security features and are extremely difficult to forge. Gigaba noted the department has issued 4.1 million smart ID cards to date. The DHA aims to issue a further 2.2 million cards this year, he told Parliament.